How to make a Mickey Mouse Figurine! How to make the perfect Mickey Mouse figurine! 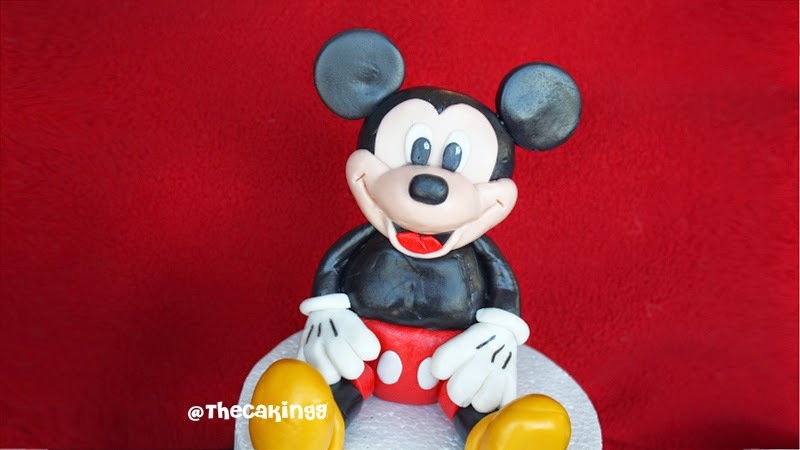 Hey everyone, I know a lot of ppl wanted to know how to make an edible Mickey Mouse figurine with fondant or gumapste, myself included! He's one of the most challenging characters to create in 3D for cakes. I figured out a way to make the snout, so I recorded it for a tutorial. IF YOU LIKE THIS TUTORIAL, PIN IT AND SHARE! Thank You for the tutorial!!!!!!!!!! !Great job!!!!!!!!!!!!!! Can you put this on a cake? Yes Thank you for this tutorial. You did a great job. Hi, I have a question. I heard you say you used the Wilton skin tone for the "hairline" piece. Did you use that same color for the snout as well? You make it look so easy! That was cool! You are amazing! You are really good at teaching this. It was step by step instructions. Thank You!